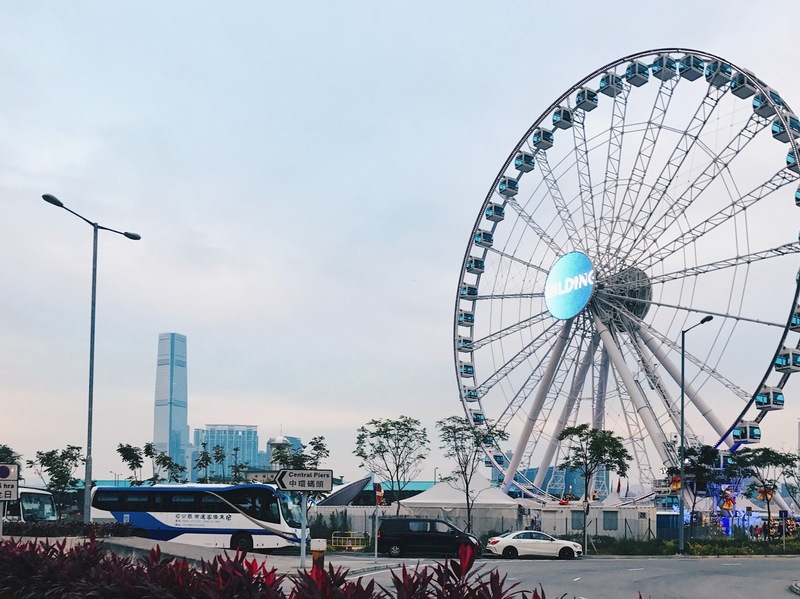 Located right beside Hong Kong's AIA Great European Carnival, Hong Kong Observation Wheel brings you around to see the other side of Hong Kong. 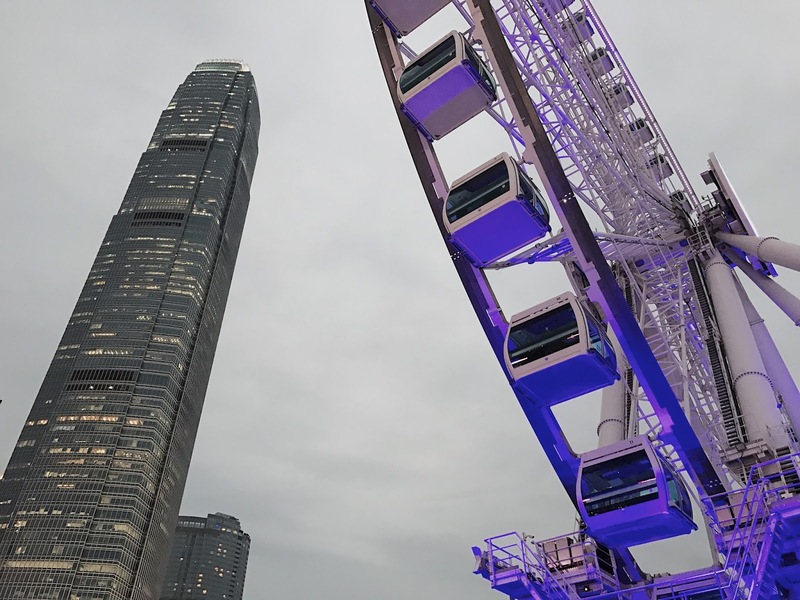 At different angle, how Hong Kong would look like from the other side and the best part, the cabin is intimate for parents to bring in their children, without disturbing other patrons! 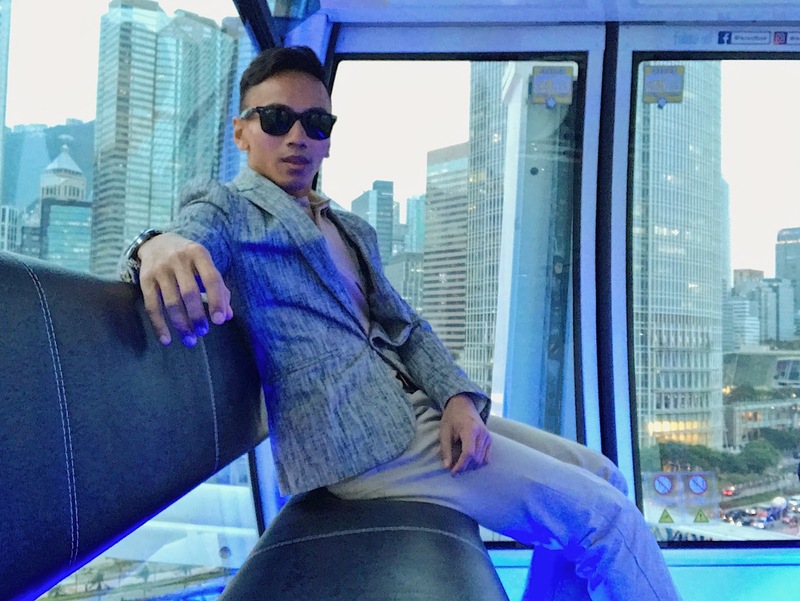 I have seen bigger ferris wheels but from experience, while it may fit almost a classroom size of visitors, nothings irks other people than children crying at an elevated height in an enclosed capsule. 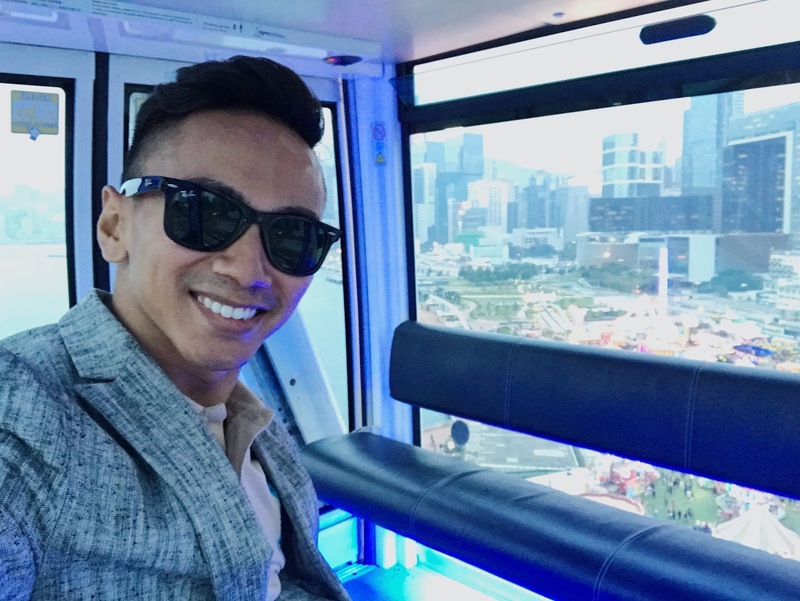 Not saying having bigger is a bad thing but small gondolas like this makes you sit closer with your loved ones as you see the colourful lights from the carnival and a closer look of the lit buildings before the light show begins. 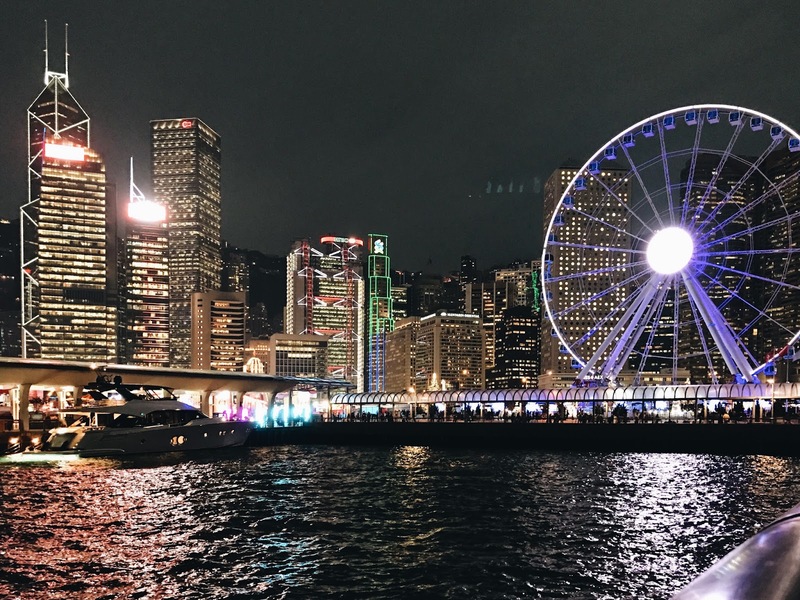 Personally, Hong Kong Island being the home of Hong Kong's financial centre has a more laid back persona than its shopping belt. Just in case if you are afraid of being brought up to a heigh of 60m in a cabin, you can opt to enjoy the breeze and view right the the footstep of the wheel! 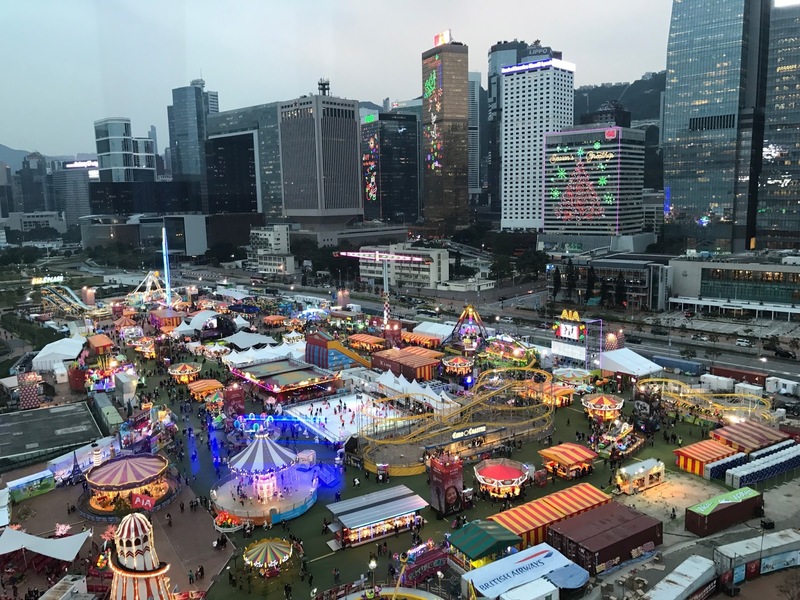 They have stalls that sells premium quality refreshments such as authentic Belgian waffles, genuine German hotdogs and Chinese dim sum. 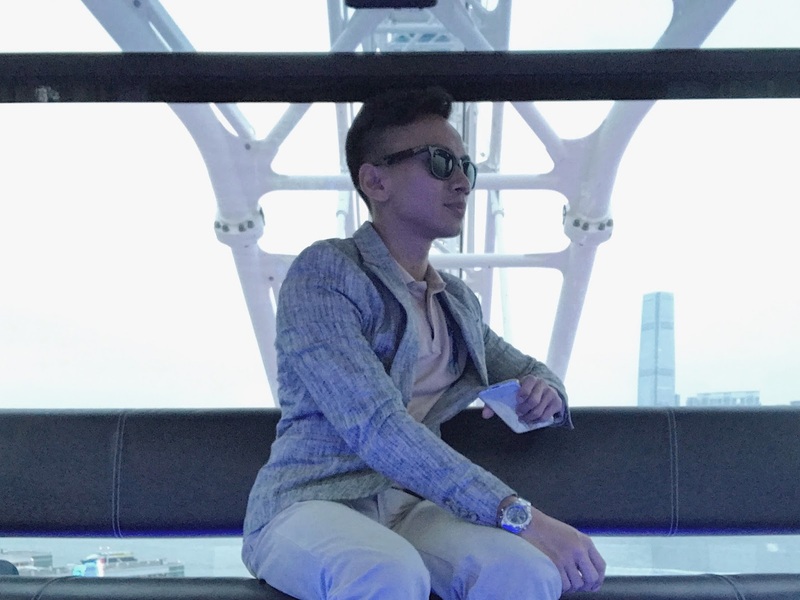 The Hong Kong Observation Wheel has 42 luxury cabins, all equipped with air-conditioning in the summer and heating in the winter. 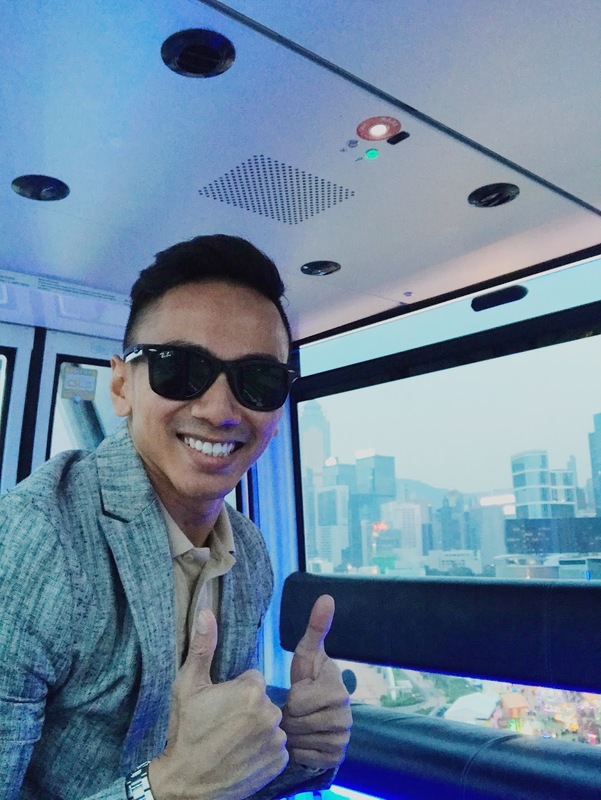 High-tech safety and super-fast Wi-Fi are also available to share your precious moment online! By the way, I swear by Hong Kong's internet connection. Their 4G connection was superb. 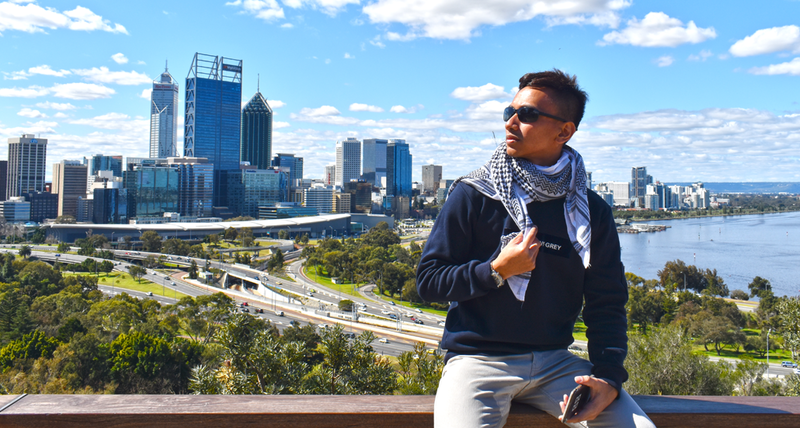 Had no qualms updating my social media fast! 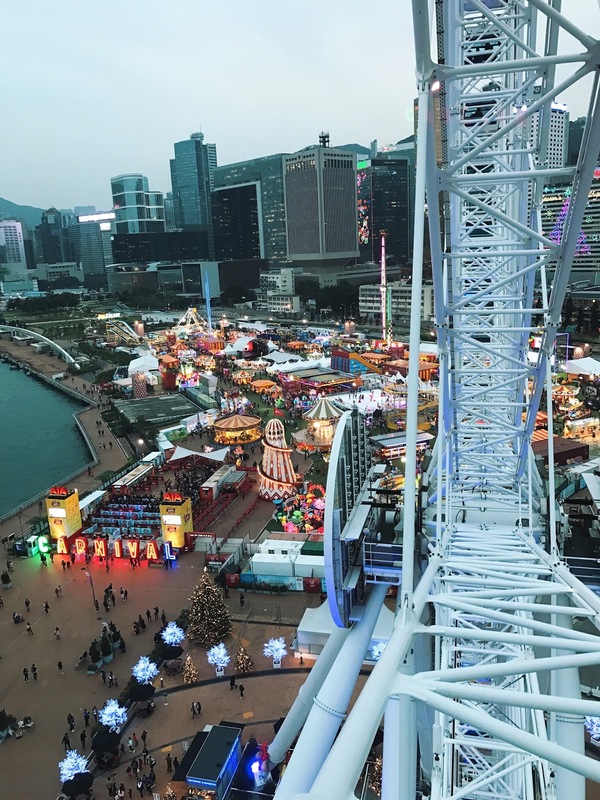 To find out more about visitors information and ticket prices, log on to www.hkow.hk/en.